From the wvde.state web site, questions and their “answers” that I have to question. My response: The true answer is that 45 states were bribed by Washington with several million dollars in education funds to accept the Common Core Curriculum for state education without even knowing what it was about. West Virginia was one of them. That was the first step. My response: Other than their role in requiring the implementation as part of the Common Core Curriculum boondoggle. My answer: It may not be identified as the federal government, but it is dominated and led by the government and specifically government employees. While they list parents first, that is just deceptive tokenism to disguise the extreme left that has dominated education for decades and continues to do so. The concentration on basic math and English skills is lost in all the time spent “teaching to the test.” Now they will be lost in “teaching to the 21st Century Learning Skills.” This is all no different than the next new, nice-sounding, expensive bureaucratic solution that Washington has been selling us for decades, like “No Child Left Behind” and all the “grow government” forerunners. There is a better answer. Studies have shown that to improve public school student achievement — 20 percent to 26 percent on average in one study — implement competition through school choice with vouchers that follow the student. The answer is not the next new, expensive, “grow government,” bureaucratic self-justification that continues to sink American education lower and lower. School Choice is the Right Choice. I do have a question for the writer. 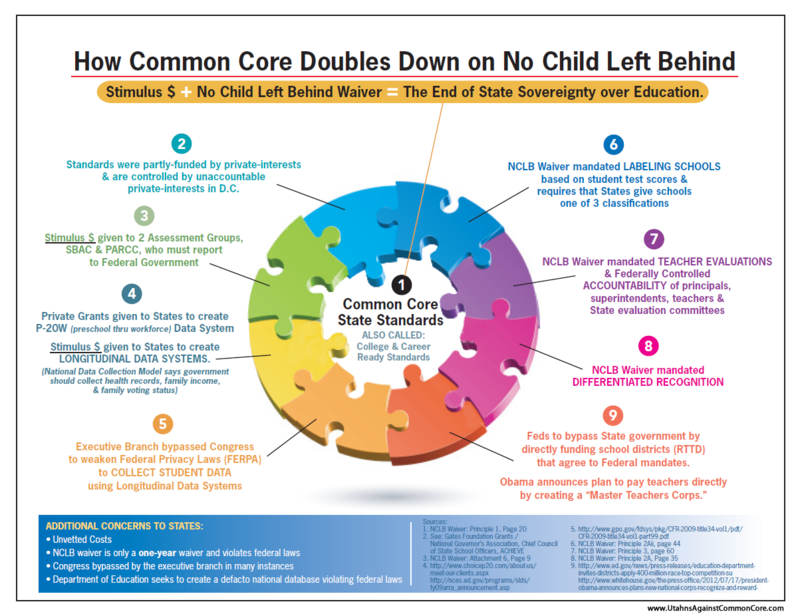 How is school choice the right choice if all schools are Common Core mandated? Wouldn't the right choice be to stop the implementation of CCSS and restore true local control to public schools?